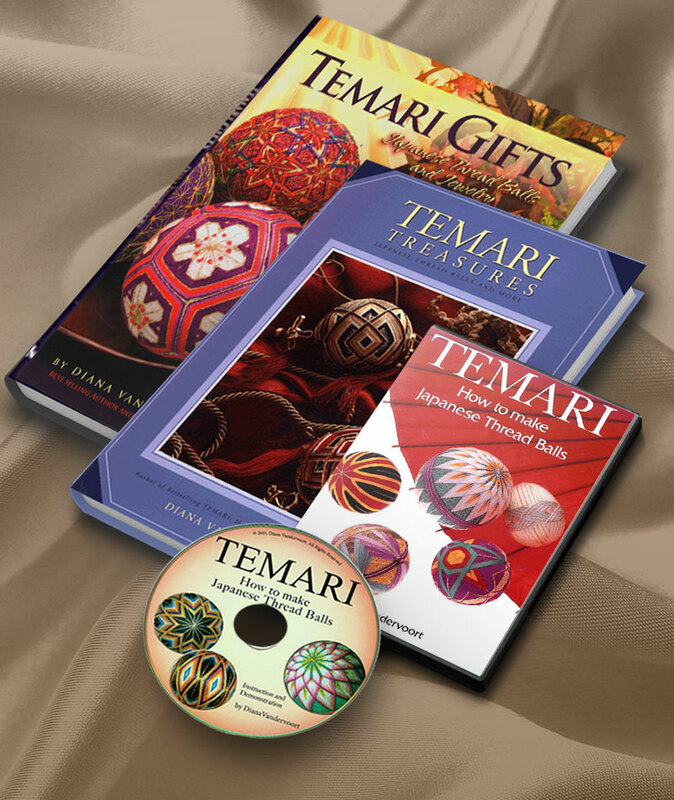 My passion and love for Temari began in 1972 when my family was invited to visit Japan. There, we were introduced to new friends and the magic of Temari. I still remember to this day the moment we received three gorgeous formal Temari as gifts from a bride and groom who visited us. Awestruck at the beauty that was bestowed, my mother, a past art professor, went on a mission to find someone to teach us how to make Temari. With determination to find the right teacher, my mother found Eiko Hatamiya, a wonderful Japanese woman who shared her knowledge and inspired us in exploring Temari. My love for art brought me to obtain my Secondary Teaching Credential in Art from University of California Santa Barbara (UCSB). Upon completing the program, I returned to Temari in 1984 where I was presented with six binders bursting with notes along with serial images of Temari projects. 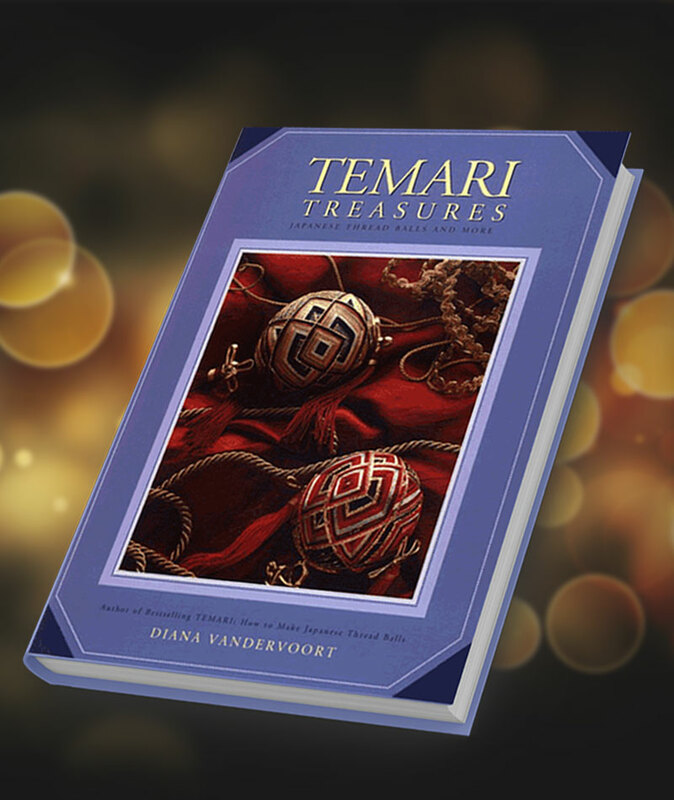 It was then that the vision of creating a Temari book in English was born. In 1985, when I began writing my book and explaining Temari patterns, it required that I create a “new technical language” that English speakers could understand and easily visualize. There was no translation of Temari techniques available at the time. Terms, titles, and names were created to make clear instructions possible for the largest number of readers to understand. Instructions had to be clear and quickly elicit a visual picture in the reader’s mind. In 1986, after numerous hours of dedication, I compiled and illustrated my first Temari beginner book, which was finally accepted for publishing by the Kodansha Publishers in Tokyo after numerous publishing attempts in the United States. This launched my success in spreading the joy of Temari. 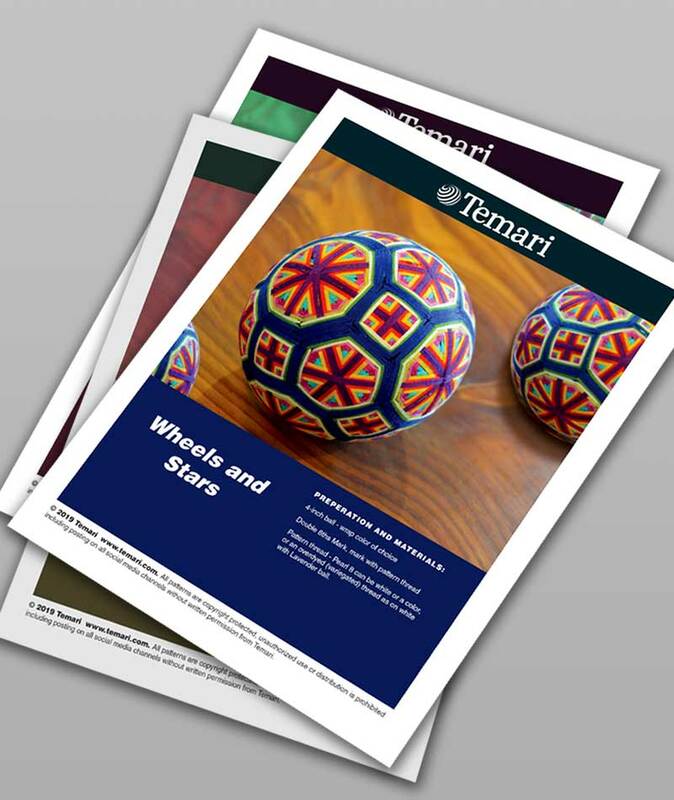 A pioneer in introducing Temari to North America. 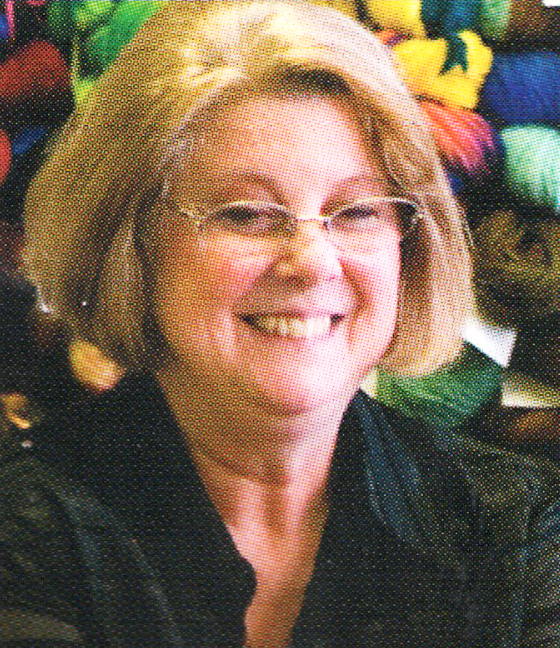 Became a regular presenter for the Aleene’s Creative Living with Crafts on TNN (The Nashville Network) and the Carol Duvall Show and DIY Crafts on Home and Garden Television. Guest presenter at the re-opening of the Los Angeles Public Library. The art of Temari has transformed my life in so many ways, from exploring its endless designs to offering me the opportunity to share this art and to meet wonderful people along the way.